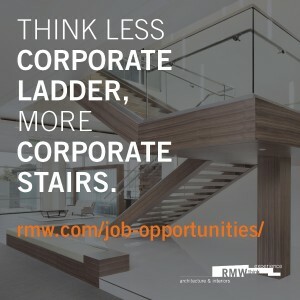 RMW architecture & interiors, is an innovative, award-winning architecture and interior design firm, with a collaborative culture. Our mission is to design engaging workplaces for great companies. We are currently experiencing exciting growth and seek an Architectural Job Captain to play a pivotal role in our San Francisco studio. Architectural planning as it relates to setting up a project from the Schematic Design Phase, detailing, construction materials, specification, building codes / approvals process and construction. Coordinate the work of major consultants and interpret their plans and specifications. This position will have direct interaction with clients on both architectural and interiors projects. Proficiency in Revit, SketchUp, Adobe Illustrator, Photoshop, InDesign, and Excel.